In Day Two of the Voorhees Year in Review, The Sun recaps 2018 with a successful VMS girls basketball season and news at Eastern Regional. Voorhees Township saw plenty of news happen over the past year. From various school athletic and academic programs to changes at the municipal level and more, let’s take a look back at what made headlines. The Lady Vikings of Voorhees Middle School made history this year with a back-to-back clinching of the South Jersey Middle School Basketball League championship. This was only the second time in VMS history the girls basketball team was consecutive champions. On Feb. 12, the girls dominated Glen Landing Middle School with an impressive 51–25 victory to win the championship. Along with the win, throughout the regular season the team went 14–1 in the overall division and 12–0 in the league. Many of the girls had been playing with each other since fourth grade. 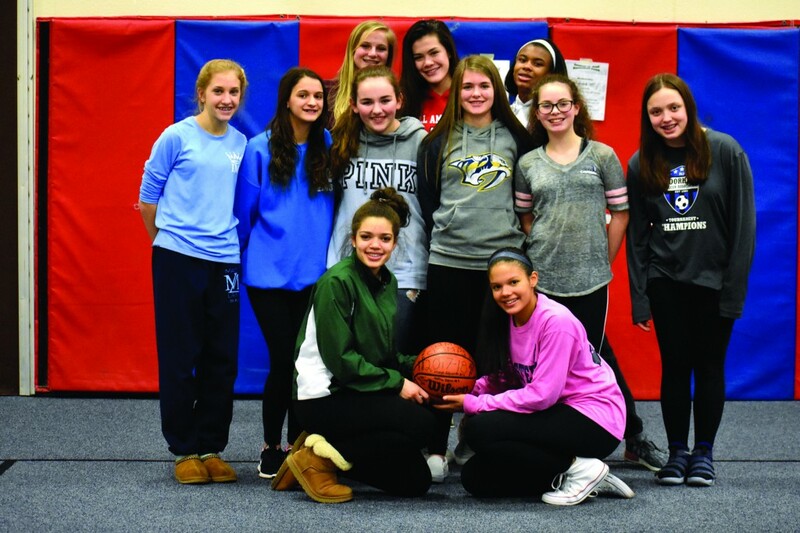 Although a majority of the team consists of eighth graders who are moving up to high school, the younger girls are not discouraged going into next season. “I want to continue this team having a good leader and to hold the team together,” seventh grader Macey Wilkins said. The school safety forum, whose panel included state Sen. James Beach and Assemblyman Louis Greenwald, was initiated in March in light of the mass shooting in Parkland, Fla., as well as an alleged terroristic threat made upon Eastern Regional High School weeks prior. As a result of the district’s lack of transparency, as described by parents, regarding the Feb. 15 arrest of an 18-year-old who allegedly threatened to “shoot up” the high school, the middle school auditorium was filled to capacity with community members demanding not only answers but solutions. Along with Melleby and Principal Robert Tull, the panel included Mayor Michael Mignogna, Committeewoman Michelle Nocito and Police Chief Louis Bordi. Before taking questions from the audience, police officers and members of the Eastern and Voorhees Township public schools administrations discussed new ways of security, investigation and counseling that are being implemented in local schools. First, the Voorhees Township Police Department will now have remote, or live, access to Eastern’s internal security cameras. Additionally, administration began conducting grade-level meetings to review safety procedures and had contacted the state Department of Education to initiate a review of the district’s safety and communication protocols. Parents suggested innovative forms of security, including a hotline, a reliable phone line that won’t crash in the event of an emergency that goes to the district and that parents can use to determine the status of their children, in case of emergencies and installing metal detectors at the front entrance of the building. Eastern Regional High School graduate Jack Herman had no idea what to expect during the 2018 MLB Draft, however he was eventually selected by the Pittsburgh Pirates in the 30thround. Herman said the Pirates were in contact with him as day three of the draft opened, but he had no idea what was going to happen. He was surprised when the pick was announced, saying he had been texting with friends when his phone became bombarded with notifications saying he’d been drafted. A representative from the Pirates called him shortly after. “I was talking to (Pittsburgh) a bunch and we had no clue if they were going to draft me at all or when they were going to draft me,” Herman said. Two days after being drafted, Herman confirmed with The Sun that he would sign with the Pittsburgh Pirates and forgo his commitment to the University of Maryland. Being selected in the MLB Draft is the latest milestone in Herman’s stellar baseball career. Herman was a major part of the Eastern’s success over the past four years, and he broke numerous records. During his sophomore year, he smashed 52 hits and nine home runs, setting single-season program records in both categories.